Indian money in Swiss banks saw 50 per increase to Rs 7,000 crore, while Pakistanis hold Rs 7,700 crore in the banks across the Alpine nation. Pakistanis deposits, however, fell a record fall of 21 per cent in 2017. Neighbouring Pakistan outdid India in parking money in Swiss banks the previous year. 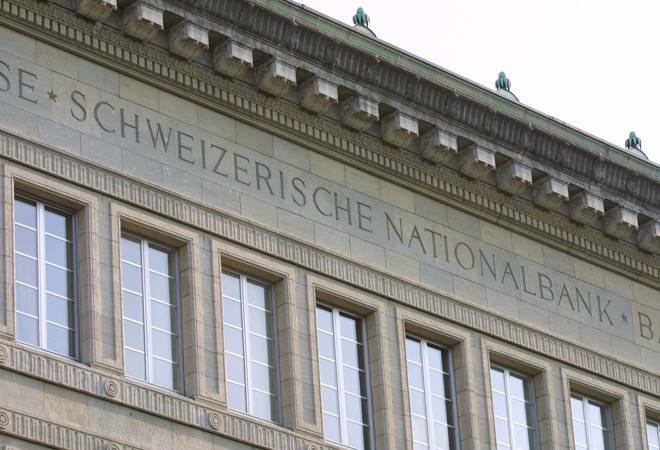 According to a Swiss National Bank (SNB) report released on Thursday, the Indian money in Swiss banks saw 50 per increase to Swiss Franc 1.01 billion or Rs 7,000 crore, while Pakistanis held CHF 1.115 billion or Rs 7,700 crore. Pakistanis were ahead of Indians even though the country saw a record fall of 21 per cent in deposits. In comparison, the total funds held by all foreign clients of Swiss banks rose about 3 per cent to CHF 1.46 trillion or about Rs 100 lakh crore in 2017, says SNB report. While the Opposition has launched an attack on the government, the centre has said it can't be assumed that all money deposited in the Swiss banks is black money. Union minister Piyush Goyal also told reporters that India would get all the data regarding black money deposited in the Swiss banks by the next year. The recent Swiss central bank report, however, has given enough fodder for the Opposition to pull up the Narendra Modi government over the issue of black money. The Congress party on Friday said that Swiss Bank deposits fell during former PM Manmohan Singh's time "only to rise to record levels under PM Modi". The current increase of 50.2 per cent post demonetisation, is the maximum since 2004, tweeted the party. Rahul Gandhi, through his official Twitter handle, also said that PM Modi had promised to bring back all money in Swiss Banks to India and put Rs 15 lakhs in each Indian bank account. He said the PM had also promised to wipe out black money after demonetisation but now, after the Swiss central bank report, the Modi-led government is saying that there's no black money in Swiss Banks. Even BJP Rajya Sabha MP Subramanian Swamy didn't spare the centre over the 50 per cent rise in deposits. "Breaking News: Major success of Finance Secy Adhia. Secret Swiss Bank accounts deposits from global sources rose by 3% last 12 months. Indians deposits however grew 50% . Adhia would have managed more if Rajeshwar was not a distraction," he tweeted.